Mr. Gianino not only possesses a law degree but also a Master of Business Administration. This combination allows him to view our clients' situations from both legal and business standpoints, ensuring he creates estate plans designed to protect our clients that are equal in strength with the plans put in place to protect businesses. 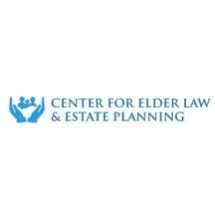 Whether you need legal assistance after the death of a loved one, you want an attorney to guide you in the creation of a comprehensive estate plan, or you need a legal professional to act quickly because of an urgent elder care issue, look no further than our law firm, the Center For Elder Law & Estate Planning. If you would like to discuss your legal need with Mr. Gianino, you can schedule a free initial consultation at our law office in South Weymouth.